I came up with these fun Black Sesame Cookies for the launch of Homeism's decadent loungewear line that is inspired by modern asian silhouettes. 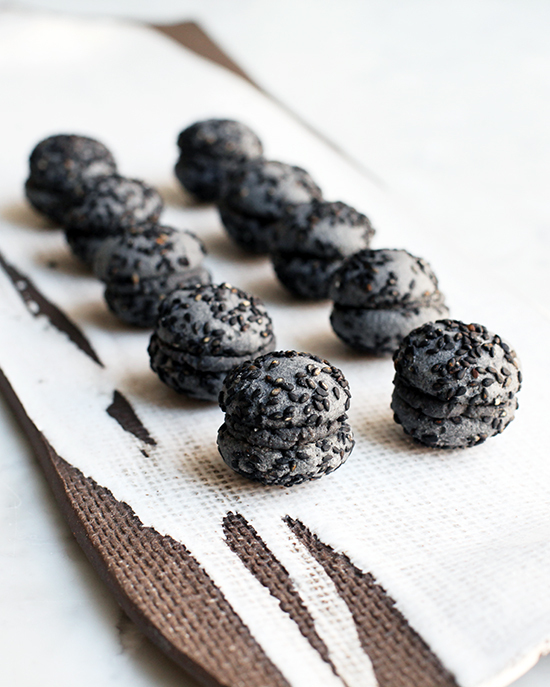 I love the smokiness of black sesame and when combined with white chocolate, makes for the silkiest ganache filling inside these crisp melt-away cookies. Bake these to celebrate your inner minimalist after Marie Kondo-ing your home. Thanks Vogue for the shout-out!